Too focused on what you said. No effort to try and understand what might be the issue. Seemed in hurry. I cannot speak more highly about Dr. Kovalszki and her nurses and staff. Dr. Kovalszki is thorough, knowledgeable and explainsthings clearly. Her office staff is personable, professional and super-efficient. Without exception, visits to Dr. Kovalszki are better than any other doctor's office experiences I have. I cannot speak more highly about Dr. Kovalszki and her nurses and staff. Dr. Kovalszki is thorough, knowledgeable and explains things clearly. Her office staff is personable, professionaland super-efficient. Without exception, visits to Dr. Kovalszki are better than any other doctor's office experiences I have. 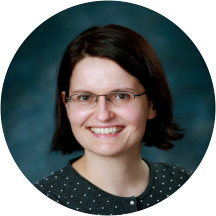 Dr. Kovalszki earned a bachelor degree from the University of Michigan in Ann Arbor, where she subsequently attended medical school. She then completed an internal medicine internship and a dermatology residency, both at the University of Michigan Health System. She has been practicing dermatology since 2009. Dr. Kovalszki's clinical interests include general dermatology and cosmetic laser treatments. She is Board Certified in Dermatology. Dr Kovalszki was pleasant, thorough and caring. A true professional that I would recommend to anyone. Thorough, professional and clear. We'll run office. A+. My second visit and just a pleasure. Highly professional, well run office and excellent physician. For over 3 years I've been dealing with a number of inflammatory, painful skin issues and hair loss that started suddenly without any known cause. My last doctor kept prescribing the same class of medication despite any improvement so I finallydecided to look elsewhere. I came across Dr. Kovalszki on Zocdoc and saw an appointment in 2 days along with several good reviews so I booked it. The office staff was very friendly and called me the next morning (I booked the appointment at night) to confirm my information and tell me how to find the new patient forms online. Shortly after arriving, Dr. Kovalszki's assistant brought me into the office and went over my symptoms and past history. He stayed when Dr. Kovalszki arrived and took notes so that she was able to give me her full attention. Right away she suspected my first doctor's diagnosis might not have been correct. I left with a new medication to try for a month and another plan for my next appointment if this treatment didn't help much. So far my skin isn't perfect, but it's made more progress in the past 3 weeks than it did in the 3 years before so I'm very much looking forward to my followup appointment next week. Dr. K was thorough and made sure my questions were asked and answered. I highly recommend her and will make my annual appointment with her. The closest dermatologist had a 4 month wait. I found Dr Kovalszki on Zocdoc with an open appointment 1 week away. After booking on line I called the office. Her office staff and nurse were exceptional. Professional, super well organized. Theexam was thorough. Dr kovalszki was very friendly, explained everything very clearly . It was an excellent experience. I was very satisfied with this visit. Not only did they take care of me in a timely manner, but they were very professional as well. I definitely recommend this APDerm and Dr. Kovalszki. Kind, Caring and Compassionate. Dr. Kovalszki is smart and knows what she is talking about. I feel very looking to have her as a Doctor! The staff was great and the entire experience was wonderful. I would recommend Dr. Kovalszki and her team to ALL of my family and friends! I found the medical office friendly and willing to help. Dr. Kovalszki was able to quickly rule out any medical issues and clearly explain why. The reception was helpful and overall an easy process. The doctor could not help me with my own issue and seemed to advice me in only the ways she could help, which is not what I needed. Overall, she was honest and timely. On a regular basis, I don't usually leave feedback. I do however when I have an exceptionally positive experience! My visit with Dr. Kovalszki was exceptional. In fact it was probably one of the top three experiences I have ever hadwith any doctor appointment in my life! I chose her randomly from a list of local doctors. She and her staff were all exceptional. Clearly, I made the right choice! Very quick appointment and the doctor took care of my needs professionally. She was very efficient, took the time to address my concerns and offer solutions to ease my post Moh's surgery scar done with another dr. Great service! Very professional and she has a kind demeanor. Very professional. Lovely and knowledgeable staff. Felt very comfortable with Dr Kovalszki. Expect excellent results.